Founded in 1978, Lincoln House Chambers is a Chambers of 43 Barristers specialising principally in the areas of Criminal Law, Human Rights, Personal Injury Law, Immigration Law, Judicial Review, Fraud, Disciplinary work, Prison Law and General Common Law. 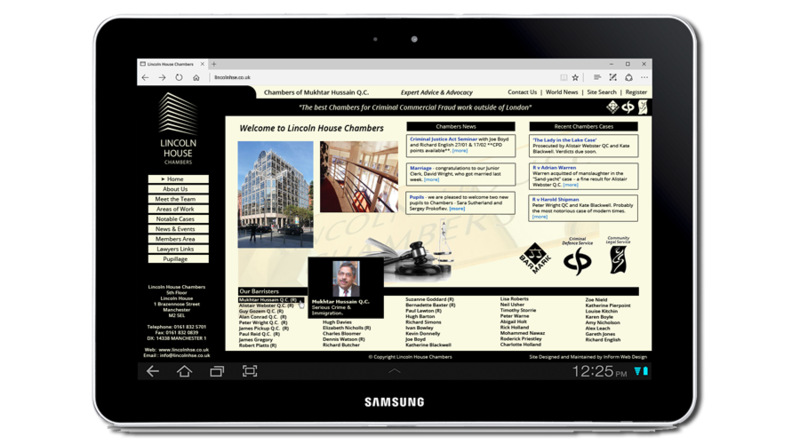 InForm Web Design were brought in to develop a brand new website for Lincoln House Chambers. Their existing website was outdated and failed to adequately portray the Chambers as one of the top firms of Barristers in the UK. 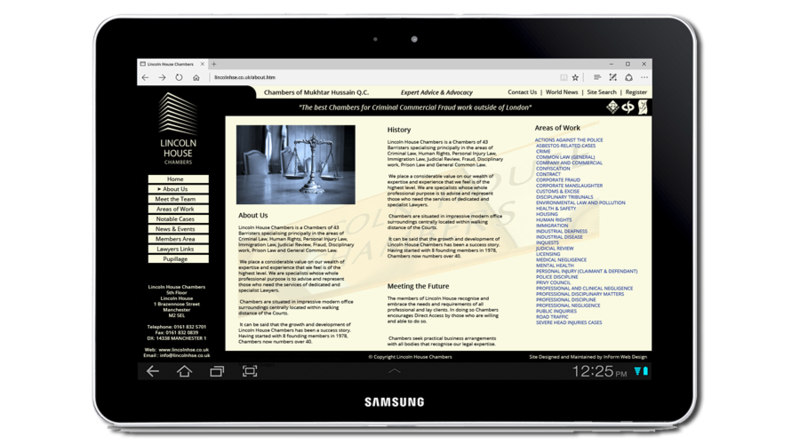 The site was developed using the Concrete5 Content Management System (CMS). We chose Concrete5 for this implementation as it met the functional requirements for the proposed site perfectly. It enabled rapid prototyping, is highly customisable and allows for organic growth. After training by us, the staff at Lincoln House Chambers were comfortable with the editing features, allowing for in-house updating of much of the site's content, in particular the News section and Latest Notable Cases. The website has been very well received by Chambers. We were particularly impressed by InForm's dedication and flexibility in meeting our needs, notably conducting user training on weekends to accommodate the weekly time constraints on the Barristers and Clerks tasked with maintaining the site. The site was designed around a database which detailed the profile of each of the 43 Barristers, with cross links to several hundred Cases categorised by Legal Area. 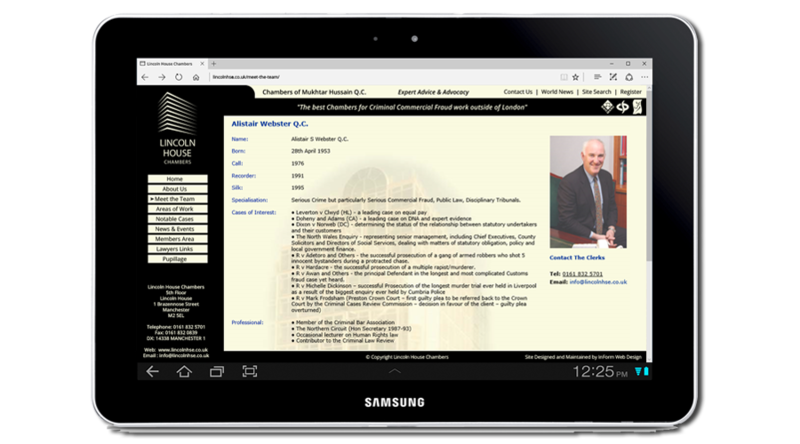 It allowed for comprehensive Barrister Profiles with complete Case History selectable by Area of Expertise. The site also contained a fully user maintained membership area for Case Solicitors.